When visiting a place by the sea, it is hard not to feel enchanted by its natural magic. The tides, the wind, the feel of the sand on your feet and just the smell of the ocean is enchanting in itself. Many people simply honour the sea for what it is usually seen as- a turbulent yet beautiful vista which slowly but surely erodes all it touches. Many other people who feel a pull to the ocean may choose to live near to it and practice sea magick or sea witchcraft, depending on the term they wish to use. The practice is nice and natural, as the sea provides almost all of the tools required for practise- shells for altar decoration and offering bowls, various shells, rocks and driftwood which can be used as talismans or amulets, smaller objects can be used as decoration for any main items you use- for example a small stone found in the sea can be used to adorn an athame or ritual bowl. The main element which is honoured is, of course, water. Tied into that is also the adoration of the moon, as she governs the sea through high and low tides and also the ferocity of the flow and waves. Leading on from this is the addition of spells related to emotions, as water is said to govern them. This also leads onto spells and magic which harnesses and create creativity as water is also seen as the creative spirit, protection because of the use of shells and other covers which creatures use to protect themselves in the sea, love- relating to the study and incorporation of Aphrodite who is seen as goddess of the sea in the Greek tradition, and prosperity and trade too because of the transportation of goods over the sea many years ago. Individual shells are also said to have their own meaning within their folklore, but that’s something which is an article within itself! Many witches and spiritual people who work with the energy of the sea and tides who do not live near to the sea can also use the magic of the rivers and streams local to them when they are not at the sea. Some people also gather things they feel they may need whilst they are visiting the oceans to use in future for their magic workings. Sea witches are said to call upon the force of the tides and winds to control and hone the power of the sea; to tap into the ebb and flow of the tides and the energies therein. It is said that the path of the Sea Witch can be perceived as somewhat darker than those of other paths- this is related to the ruthless nature of the sea herself, sometimes calm, sometimes enveloping and destroying parts of, or all of a town, cliff or other structure nearby. Going back to the older times of sea voyages and trade routes with risk from heavy seas and high storms, the sailors would call upon the uses of a sea witch to ensure the sea crossing was successful. These sailors also did business with the witches- they would buy handkerchiefs or cloth from the witches to use in times when winds were needed- these were tied with three knots in the blowing wind by the witches. It is said that the first knot undone would cause a soft and gentle south-eastern wind, the second knot would give a very strong north-bound wind and the last and third knot was only unravelled in emergency situations, as it was said to invoke very heavy winds and also storms. Although the sea witch is not necessarily needed nowadays due to the use of engines and other protections from the elements by sailors, it is still a path which is trodden by those who feel a deep connection to the ocean. It is also only advised for those who can handle the ebbs and flows and also storms of mother nature. Sea magic is an umbrella term mostly for many different kinds of magic. These include the magic of water itself, of the weather, moon magic and also mirror magic, as this is usually used in conjunction with the moon, and water is the greatest of natural mirrors if clear enough! Although water is the main element of sea magic, all of the elements are present in sea magic. 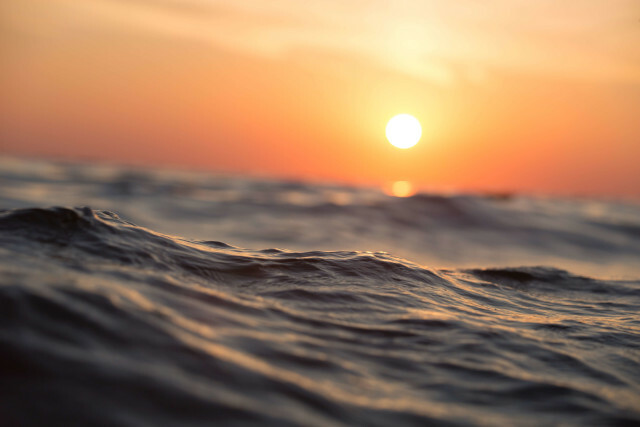 Water relates to the ocean, earth relating to the sand, air relating to the sea wind and fire relating to the sun or stars, depending on the time of day you’re working with the magic. The main, very important point when working with any kind of magic to do with the ocean or any body of water is to take care. Know your water. Know the tides, know the river levels, know the strength of the flow, and especially when working with the sea- know the moon phase. You’ll find lots more magically-charged goods just before, during and just after a full or new moon- but the tides are likely to be treacherous especially during the full moon. If your intuition says leave; leave. Even if you’ve travelled a lot of miles to get to the location and your intuition says to leave, always listen to it. Watch the sea, watch to ensure the tide is low and all should be fantastic. As with all magic or craft, sea magic when respected is beautiful, powerful and fantastic. If warning signs are ignored, it can be chaotic and downright dangerous. It is challenging but very worth it if that is what draws you in. 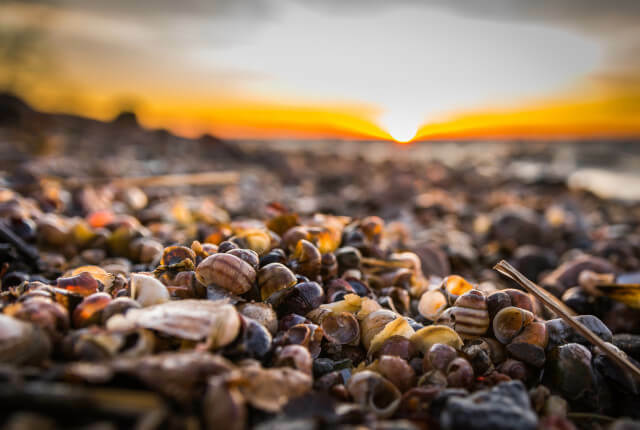 All of the tools you could need are there: shells to hold water as the chalice, driftwood wands as athames, sand for earth, sea wind for, well, wind, and the fire can be represented by the sun, stars or a small beach fire (make sure it’s legal to set one of these in your area first!). All of these items can also be returned to the sea afterwards to properly ‘set’ the magic in place.